Before going further, I need to come clean that I am a huge fan of Sherlock Holmes, in the original film version, namely Basil Rathbone, which I saw in the movies as a child in the 1940’s. The gaunt Rathbone will forever be the prototype of Sherlock for me. Not incidentally, he made 14 movies in the 1930’s and 40’s. I also enjoyed Robert Downey, Jr’s take on the big screen in recent years. Jonny Lee Miller’s Sherlock possesses every bit of the deductive prowess we have come to expect from the character. Cast in present day New York, his love interest, Irene Adler, has already passed away and her death appears to be one of the demons Holmes is combating as a recovering drug addict. He has a love/hate relationship with Watson whom he must tolerate or his father will stop allowing him to live rent free in his sumptuous New York apartment. As is the case with Lisbeth Salander and Sheldon Cooper, Holmes has extraordinary intellect, yet cannot fathom dealings with people in which he has to relate to them. He has demonstrated his crime-solving expertise and assumes that will carry the day. Captain Tobias Gregson, played by Aidan Quinn, spends time in nearly every episode smoothing over Holmes’s roughshod way with suspects, including victim’s loved ones. The hard-working Watson also spends time in trying to smooth things over. There have only been four Elementary shows so the body of work is thin compared with the previous examples, but the principle remains the same. The main character has no sensitivity to the feelings of others. It seems also necessary to add that I am a huge fan of the three examples here. I read all of The Girl … books, watched all three of the Swedish film versions and own the DVDs. 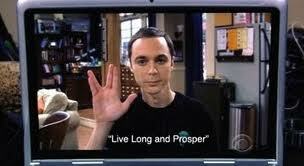 Ditto The Big Bang Theory. Too early for Elementary DVDs, but I plan to. I have an appetite for heroes. Don’t we all? They embody some form(s) of human excellence. I admire them and am excited by their achievements. All of these characters embody excellence to an extreme degree. I just don’t get the disconnect when it comes to feeling for people. While I view acts of kindness as food for the soul, I find myself hooked along with everyone else on these almost antisocial characters. I remember as a child listening to the radio adventures of Superman, one of my first heroes, who was fighting for “truth, justice and the American Way.” Superman and his alter ego, Clark Kent, very clearly demonstrated feelings for others. Ditto, Wonder Woman, who came along in the 1940’s and whose stories in the comic books of the day were avidly read by many, myself included. Wondy was a superhero who triumphed not with fists, or firepower, but with love. These current twisted characters must be filling a need in our collective lives. My tentative conclusion is that they are the best of a bad lot. Somewhere out there in the ether are heroes without this serious character flaw. I think we need them. Agree completely that real heroes have empathy but disagree with your saying that Elementary’s Holmes doesn’t have it. He doesn’t have it in his own personal social world, to a fairly significant degree. That’s true. He isn’t good at processing the in-the-moment feelings of the person right in front of him when he’s pushing for some larger goal he has in mind. But he’s a complex character and while he’s a dumb, closed-off social blunderbuss in some ways, I think he also shows enormous empathy repeatedly throughout the series. Examples include his clear outrage in the pilot that the psychiatrist would manipulate a person struggling with mental illness to achieve his murderous aim. But they also include the lie he made up about Watson leaving medicine because somebody she knew had died from addiction; when he finally comes out with his real theory later, seems to me that his body language makes clear that he really *did* spout that fantasy to spare Watson’s feelings and that he’s almost in physical pain later when he can’t suppress his true thinking on the matter even though he knows it will hurt her. And while he loses his temper with the redheaded woman who won’t tell him what he’s sure she knows about her strangler, he behaves badly with her *because* of his empathy with the other woman who was murdered and future victims there might be because he’s sure that this witness is shielding the murderer. 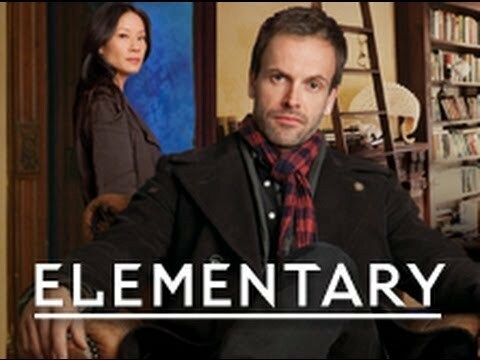 Elementary’s Holmes is a theoretical, big-picture thinker rather than an in-the-moment social being, and I think that his intense empathy related to his big view of the world often causes him to miss the empathy needed in the present social situation. Empathy isn’t so simple in the real world, seems to me. While feeling and acting on empathy for one person, you might easily get blind to and act non-empathetically toward somebody else. And that complex, real-world thing happens to Holmes constantly in this series, i’d say. And, let us not forget, he’s constantly apologizing. Does it in pretty much every episode. You don’t do that without empathy, seems to me. In the second episode, he pretty clearly has huge empathy at the end toward the “big heart” twin who was betrayed by her sister and doesn’t see the danger she’s in. He’s even empathetic with the private investigator and his drug problem, when he first terrorizes the guy but then recommends his old rehab facility. In the child-serial-killer episode, he’s dripping with empathy for what he initially believes is a kid who’s been manipulated by an adult into committing crimes, very empathetic with victims of abuse and clearly understanding of them. To me, there’s evidence in every Elementary episode that not only does this Holmes have empathy, he’s actually driven by empathy for the world’s victims, to a large degree. But he’s a highly complicated character with a lot of problems of his own plus a speeding freight train intellect that gets impatient when the problems don’t get solved as obsessively or as fast as he wants to go with them. So he overruns some people, behaving with a lack of empathy, in pursuit of his overall, highly empathetic goals. To me, that makes him an authentic and highly interesting character because he’s a hero, but a flawed one. Yep, I agree that both the ACD Holmes and the Elementary one certainly are motivated by puzzles. I’ve always had the feeling with the books, though, and, again, here with Elementary, that Holmes was motivated *both* by puzzles and by a deep concern for justice in the world, which I’d say is a kind of empathy. In the books, I know that I get that from some of the times that Holmes lets criminals off the hook out of mercy, his attitude toward the more power-mad criminals, and, especially, by his numerous philosophical speeches about how the world wags. To me, he repeatedly shows a real concern for justice and mercy and sad feelings about humanity that seem to rise from emotion or spirit, not just a puzzle-solving brain. He shows such a massive, moral and even emotional vision of the world in a lot of his musings to Watson on what the world is about. I have always linked this to some degree with his melancholia, too. I get the feeling that the Elementary showrunners and, maybe especially, J. L. Miller read the books my way — seeing Holmes partly driven by his intellectual genius but also partly by concern for making things right when they’re wrong. That’s a motivation highly related to empathy, I think. Anyway, thanks for your interesting blog! Love to read folks’ musings about stuff like this. Many thanks for your very thoughtful comment. We seem to agree and disagree simultaneously. The fact is that empathy may be a moving target. I slowed it down for this piece, but as you say, you can look at some of Holmes’s actions as being driven by a profound empathy on a whole other level. He certainly is a highly complicated fascinating character. As you say, a hero, but a flawed one. We clearly agree on that. I must disagree with your final paragraph. I think Holmes is driven by the hunger to solve puzzles. I don’t think empathy enters into that at all. And then there’s Gregory House. He did understand people’s motivations, he just didn’t care if he trod on their feelings. I have no idea why people are drawn to this kind of behavior. I do know a few who never watched House because they didn’t like his manner – but most people couldn’t get enough. Thanks, always nice to hear from you. Will take your word on House. Never saw it although not caring about their feelings is demonstrating a lack of empathy. Agreed. House was flawed. Perhaps we like to watch these people because it gives us pleasure to see someone speak the truth (i.e,, what they really think) for a change (especially when they are highly intelligent). It does make them hard to like, though, regardless of our fascination for them. Sue Sylvester in Glee is another example. No-one likes Sue, but I for one REALLY liked Lisbeth. Maybe it’s because it was *me* who had empathy for *her*. People like Sheldon display signs of Aspergers – not a good thing, indeed. Great blog, Tony! Sadly, I have never seen House. Maybe will pick up some of the old DVDs. Likewise, Glee. Only caught one or two of these. I totally agree with you about Lisbeth. Absolutely loved and admired her. They mentioned Asbergers with Lisbeth and I think it probably applies to Sheldon, too. Having read about Lisbeth, were you aware that she was based on Pippi Longstocking? I am sure I read that in an interview with Larsson. Thank you for sharing your thoughts. Very interesting reading. Thanks very much for sharing your thoughts on this. You have clearly read more of Holmes than I. Holmes certainly has a concern for justice on the show as well as making things right. I think you’d love House, Tony, given your interest in health-related matters. The science is pretty true to life they said. Glee is more about the music (modern stuff) and it’s fairly smaltzy -. The singing is fabulous though, especially in the early episodes. They started lip-syncing in the later ones, not so well liked… It explores social issues relevant today.. Thanks, Vinny. I know they have both been very popular.